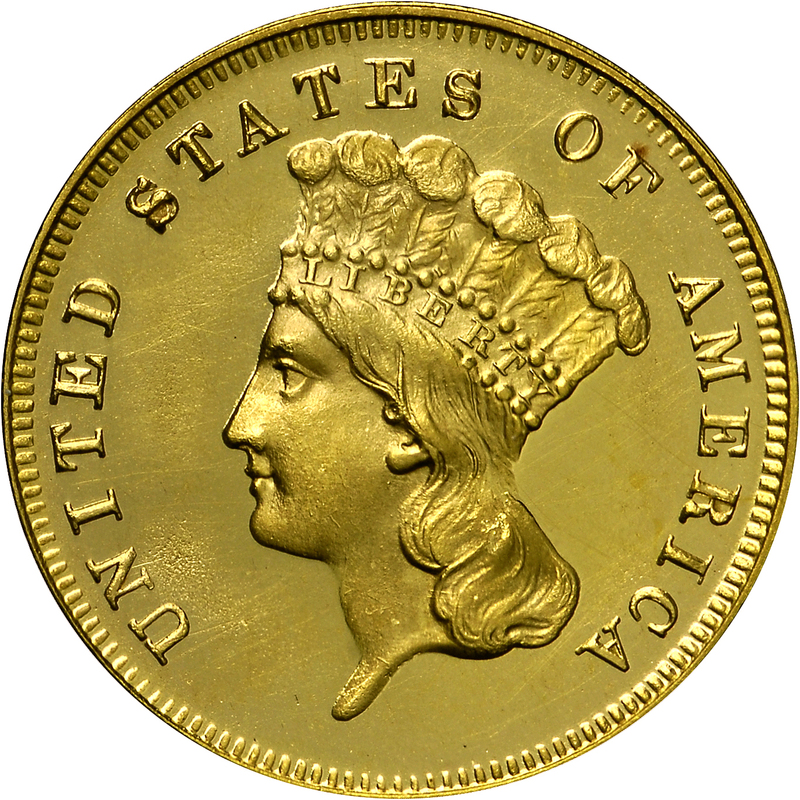 Although this is one of the “common dates” among three-dollar gold coins (none are truly common), the Proof mintage is actually less than that of some adjacent years with just 20 struck. 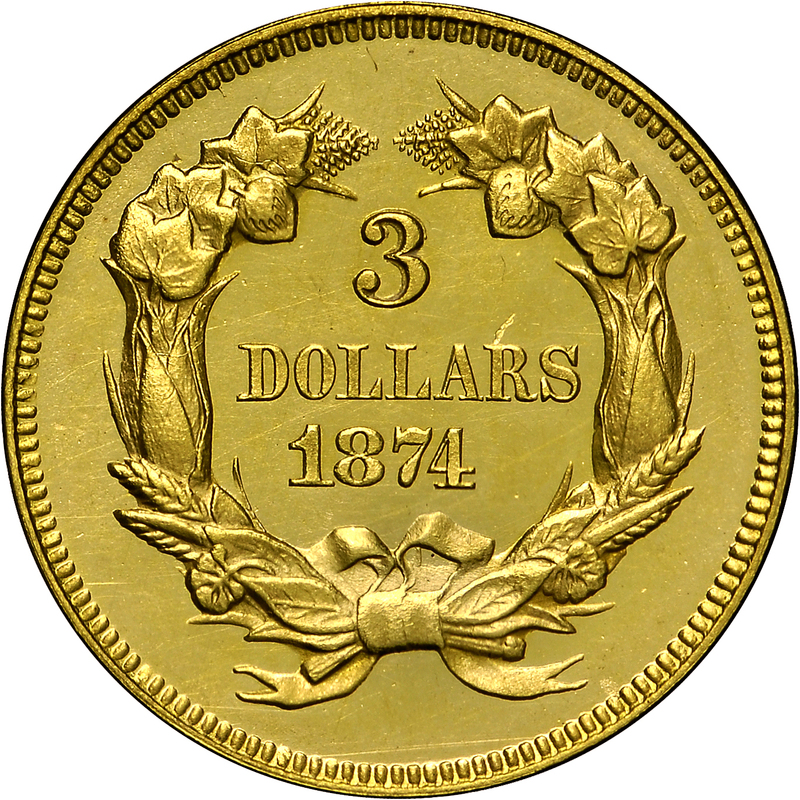 These Proofs were struck on February 20, and today only about half the mintage remains extant. 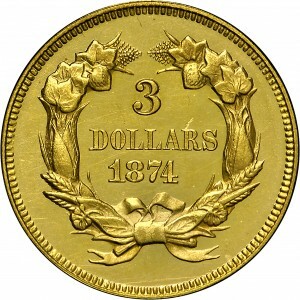 The obverse die is the same as used for 1873 Open 3 Proof coins, and is identified by a fine die scratch from the upper left corner of F, diagonally up to the border over O. From Superior's sale of the Lee and Shaffer Collections, September 1988, Lot 5368. 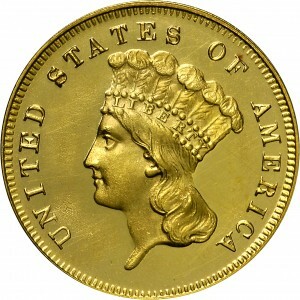 (adapted): "Obverse: That of 1873 #3 (Open 3) Proof. Die scratch from denticle above O(F) to (O)F. Reused for Proofs of 1875. Very lightly hubbed; tops only of J.B.L. visible, portion of front of headdress missing (distinctive). No 'Ghosting'. Reverse: Date well to left, centered between DOLLARS and top point of ribbon loop; level relative to DOLLARS. Top of 1 is centered beneath O."